We provide a wide range of health care services for your pets. Vaccinations, routine testing, parasite prevention plans and wellness testing are the cornerstone of our healthy pet program. 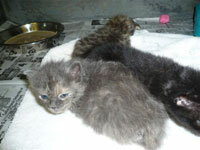 Each plan is tailored to the specific needs of each pet and monitored for appropriate changes through their life. When illness strikes we are prepared to diagnose and treat whatever condition may afflict your pet. We have in-house diagnostic lab machinery and radiology to help with most conditions. 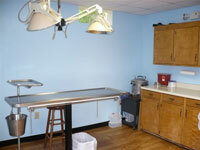 We also have access to state-of-the-art outside laboratories if needed. For complex or difficult cases, we refer to specialty centers mainly in the Richmond area that have the latest in advanced diagnostic and treatment equipment. We offer limited grooming services, restricted to difficult personalities or medically necessary cases. We also offer limited boarding for pets with unique medical needs.